Business enterprises employ various initiatives to maximize returns and achieve competitive advantage over competitors in there respective industries (Kafalas, 1981). On this note, ALDI Australia has adopted unique strategic management principles that have helped it to gain and maintain competitiveness amidst various challenges faced in the industry. This paper examines in brief the concepts of strategic management and strategic competitiveness in relation to ALDA Australia. Further, it explores the external and internal environments as well as the Business Level Strategy (BLS) of ALDI. Finally, a conclusion and several recommendations to the current strategies of this company are made. Strategic management refers to coordinated and integrated set of actions and commitments by an organization’s leadership designed to steer the organization to maximize returns and to gain competitive advantage over competitors (Rogers & Caswell, 1988). On the other hand, strategic competitiveness describes a situation where an enterprise successfully develops and implements a value-adding strategy (Hitt et al, 1994). As – noted, the level of competitive rivalry in Australian food and grocery industry is high due to high level of similarity in the products offered by different players. However, different retailers have developed different strategies to enable them gain competitive edge in the market while others compete along similar dimensions. For instance, Woolworths, IGAall and Coles-Myer focus on product and market differentiation strategies. ALDI’s strategy involves offering high quality products at lower prices in comparison with those offered by competitors (Kleeman, 2012). According to Porter (as cited in Kourteli, 2005), the purpose of external analysis on a firm’s structure is to understand the effectiveness of its sources of competitive advantage. This analysis is based on the Porter’s five forces Model. As mentioned earlier, the level of competitive rivalry in Australian food and grocery industry is high as there are numerous global and local retailers offering similar products and services to those that are provided by ALDI. The bargaining power of customers for ALDI can be said to be moderate. Buyers are able to switch from one retailer to another due to close similarities of products offered by different retailers (Kleeman, 2012). 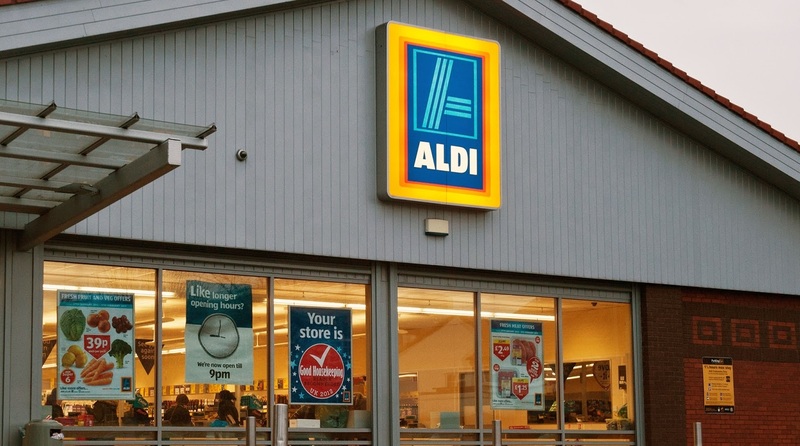 However, they are price sensitive and this is an added advantage to ALDI since the buyers have a notion that this enterprise offers quality and cheaper goods. The bargaining power of suppliers for ALDI is low since there are numerous suppliers offering similar products. ALDI has different options and goes for suppliers with cheapest prices. However, ALDI Australia currently sources its products from local suppliers, which are more expensive than imported products. The lack of strong preference for specific brands by consumers makes it easy for new entrants to survive in the industry (Kleeman, 2012). According to Cardwell (2008), this threat is heightened by the fact that it is easy for a competitor to copy the strategies of another competitor and to implement them in the market. The threat of substitutes in his industry is considerably high due to high level of similarity of products offered by different competitors. Consumers can easily switch from one retailer to another. According to Chen, and Mohamed (2008), the strength of the internal environment of an enterprise is determined by the effectiveness of its current strategies and how well resources are mobilized in support of the strategies. ALDI has adopted simple and less complicated organization structure which has contributed effectively in cost saving. The company focuses on core operations only in locations that are deemed to be profitable; limits the number of personnel in each store; their store layouts are designed in a simple manner; and adheres to restricted opening and closing hours (Haberer, 2010). This enables the enterprise to offer high quality products at low costs. The enterprise produces its own products and brands, making it to have a high control over them. Apart from this, this organization has listed all of its products and their prices online (Kleeman, 2012). This has made it easy for the consumers to gain useful information about the firm. However, the reliance on a small number of trained workers can be considered a weakness. Also, the limited range of products offered by the enterprise can also be deemed as a weakness since it limits consumer choices (Haberer, 2010). BLS refers to a set of actions taken by an enterprise in order to satisfy the needs of customers and hence, achieve competitive advantage in the future. Hua et al (2011) explains that, “a business enterprise can benefit from BSL by exploiting core competences in specific, individual product or service markets.” ALDI’s BLS focuses on offering quality products at lower costs to their customers. This is achieved through adopting an organizational structure that minimizes costs. They are also able to conduct a quality control of their products due to the narrow range of product categories (Haberer, 2010). This strategy can be considered as a sustainable source of competitive advantage for this enterprise. Based on the above analysis, various recommendations can be made. First, ALDI needs to focus more on product diversification in order to add more choices for customers. Secondly, they should focus on expanding its operations within Australia through a store rollout program. As well, this company should maintain its strategy that focuses on offering high quality products at lower prices. Another suggestion is to increase percentage of imported supplies and hence, raise profits. It is essential for this firm to catch up with the developing technology by developing an online system that includes a platform for transaction and delivery. In conclusion, this paper has addressed the current strategies adopted by ALDI. The paper has examined the competitive position ALDI’s, internal and external environments and its business level strategies. 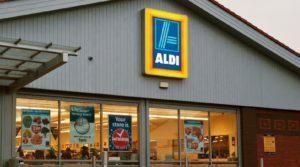 As noted in the paper, it is necessary for ALDI to reconsider its strategies and take into account the recommendations stated above in order to gain and maintain competitive edge over competitors in the long–run.